Fancy Chicken for dinner? Try these chicken recipe using Maggi So Tender range, Mediterranean Tomato Chicken or BBQ Chicken? Pre-heat a frying pan. Use one seasoning paper per chicken breast. Open out the seasoning paper and place the chicken breast on the seasoned side. Fold the paper over to wrap the chicken. Press down and flatten. Place the wrapped chicken flat in the pan and cook for 10 minutes on each side. Make sure the food is piping hot before serving. *Leftover chicken mixture can be frozen but make sure it is fully cooled beforehand *. 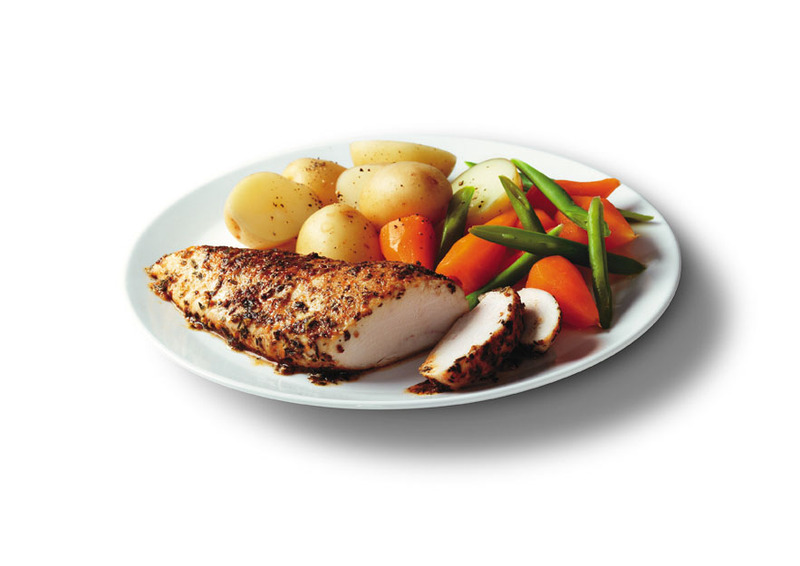 Serve with your choice of vegetables, for example, mash potato, carrots, peas.